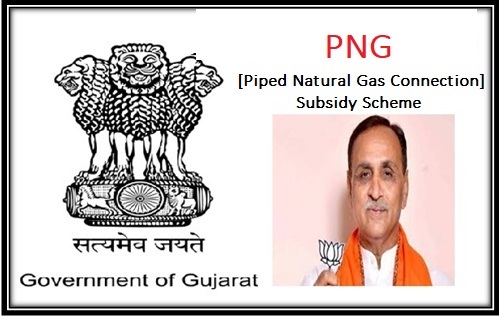 With an aim to improve the living standard for the poor people within the state, the CM (Gujarat State) has announced to launch the new PNG (Piped Natural Gas) scheme state wide. As per the sources, the new scheme is aimed at offering with convenience of cooking fuel along with making the environment smoke free. The new scheme is a type of beneficial scheme for the poor people of the society within the state of Gujarat. As per the details collected by the sources, the state government has set to offer the benefit of the scheme to the BPL families of the state. The new scheme will be run parallel to the similar scheme termed as “Ujjwala Scheme” run by the state and centre government. Under this scheme the government has also announced the sanction of Rs 1600 subsidy that will be offered to each beneficiary under this scheme. The government of Gujarat under the supervision of the CM has announced that the set budget of Rs 71.94 crore for the implementation of the project.. The Pilot project will also be initiated by the state government for implementation in over twenty five Districts within the state of Gujarat. The state government has also stated that in the initial stage the programme will also be launched in eight Municipal Corporations with in the state. The government with the above mentioned scheme aims at providing LPG gas connection via Pipe lines to their homes at much cheaper and affordable price. Not all in the rural areas have access to safe natural cooking gas. But the Gujarat government has announced a new scheme that will bring a smile on the faces of all rural people, who fall under the BPL category. This scheme says that state authority will soon start the task of laying down extensive pipelines all over the state. These pipelines will carry safe natural gas to rural households. The name of this scheme is PNG Sahay Yojana. All applicants will receive Rs. 1600 subsidy from the state government, when they apply for natural gas connection. Candidates will have to deposit Rs. 5000 in easy installments. They will get this amount back if they desire to surrender the natural gas connection.